The Mill Sets Leadership Team In L.A. The Mill Los Angeles' leadership team consists of (l-r) Chris Knight, Phil Crowe and Robert Sethi. 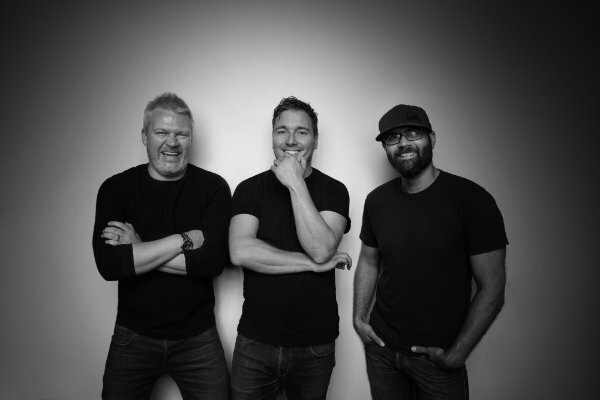 The Mill Los Angeles has promoted executive creative director Phil Crowe to chief creative officer and Chris Knight and Robert Sethi to executive creative directors. The move elevates a working partnership among the three that has already driven great success and positions The Mill’s L.A. studio for further growth. Crowe and Knight, co-founders of The Mill’s LA studio, relocated from The Mill’s London base in 2007. They have each been with the company for over 20 years. Sethi came on board in 2009 to jointly head up the CG department. The trio has been involved in some of the studio’s most successful work over the past few years, with 2017 marking the studio’s most awarded year in its history. Sethi has consistently blurred the lines between computer generated imagery and reality for leading brands such as Xbox, Kia, Marvel and Energizer. He has been recognized multiple times by industry leaders including the VES Awards, D&AD and Cannes Lions for his creative solutions. Creative technology and VFX studio The Mill has formally launched what it believes to be a groundbreaking new virtual production system, Mill Mascot.